I layered blue card on to the cream card. 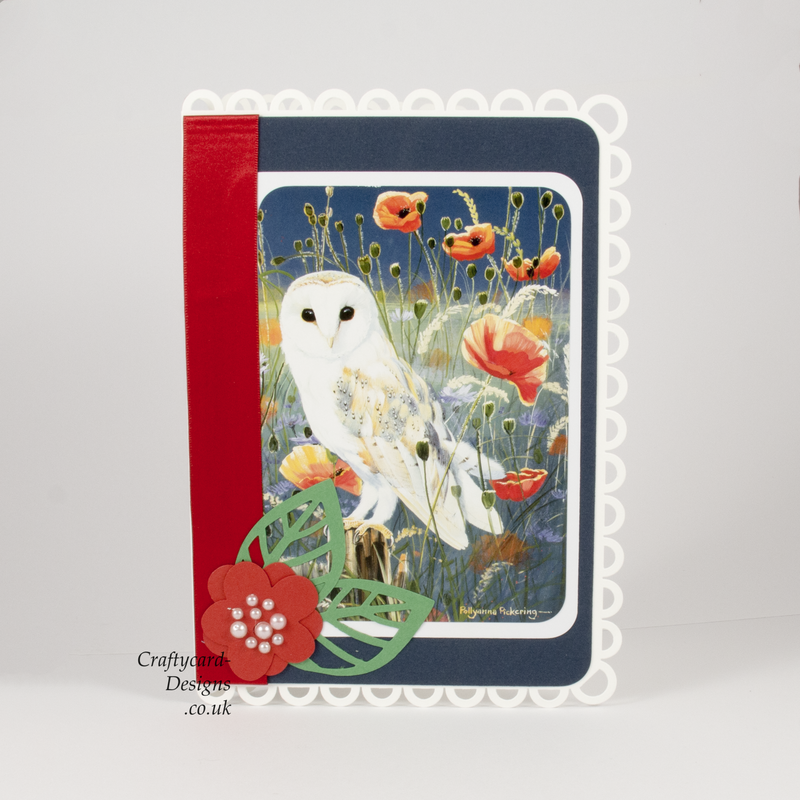 I then matted and layered the beautiful owl image from decoupage pad on to white card, layering this on to the blue card. I then added red ribbon to the side of the card and cut out a flower and leaf set (sizzix flower and leaf die) adding it to the card with pearls to the center of the flower.